Over the past couple of months, I have been specifically shopping for basic pieces that can be paired with ultimately anything. My motto is, "if it is soft, I am sold!". 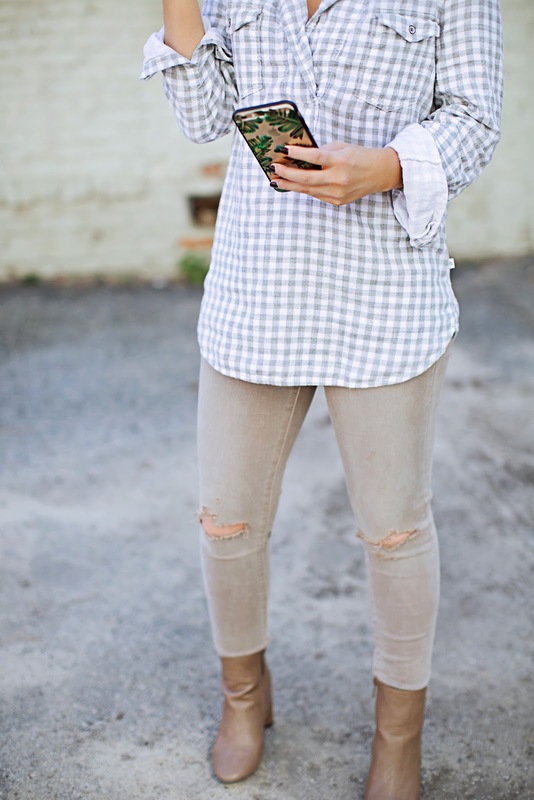 This Lou & Grey Gingham Palette Shirt fit my requirements to a T because the plaid ads character while also being a basic! 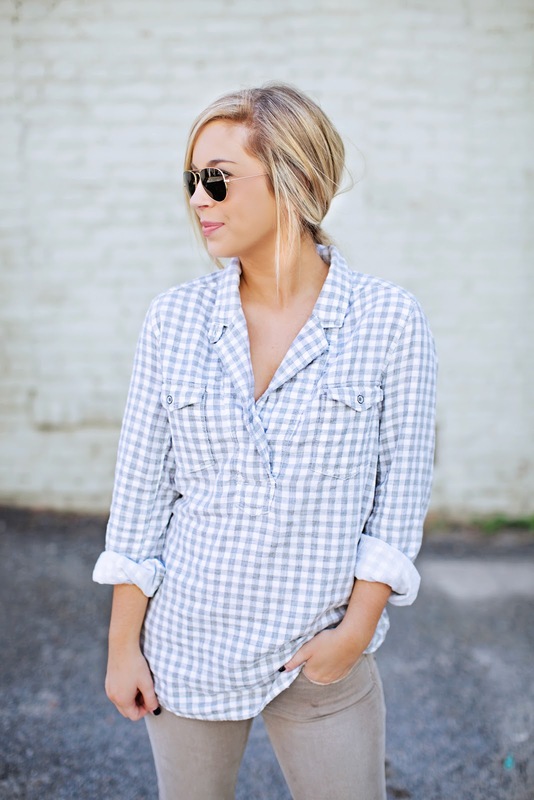 Not only that, but the low v-neck gives this plaid top more of a feminine, classic look. I love it so much I even got this color and I will do a post on that one as well here soon! I wish I could say I love these jeans from American Eagle, BUT the belt loop handles ripped off right after the first time I put them on. So, I returned them for another pair and yet again, the belt loop ripped! The guy who worked at AE basically said I was "yanking them too hard" lol which was not the case. Who else has had this problem?! In other words, do not buy this specific pair from AE. 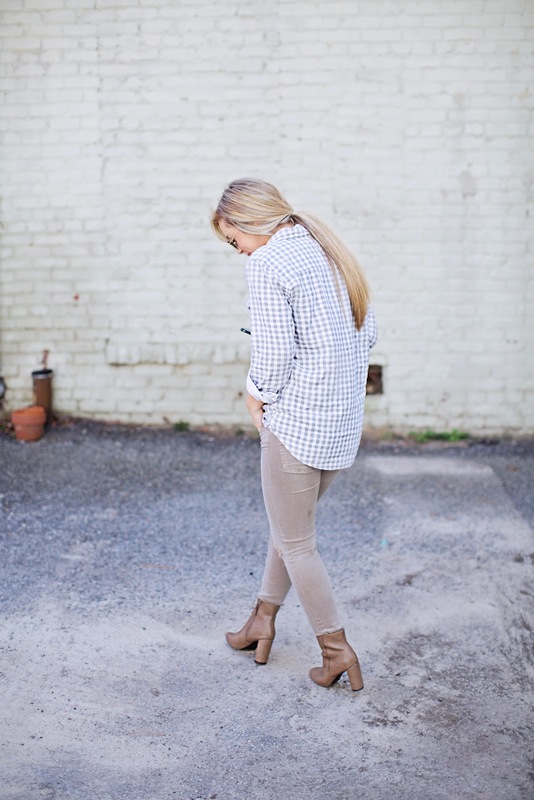 I have linked this pair below from Free People because they are my all time favorite style and super similar to the AE ones! Anyways, rant over and on a lighter note, I am getting ready to start packing for a trip to a sunny place with palms. Wishing you a blessed Sunday!